Regenerative brakes are increasingly becoming a popular option on new cars as a way to save energy, and soon that technology could be joined by another engineering breakthrough: a regenerative suspension. We have reported on Regenerative shock absorber developments including Linear tubular electric motors Here, Here and Here and hydraulic actuator based systems Here and Here. 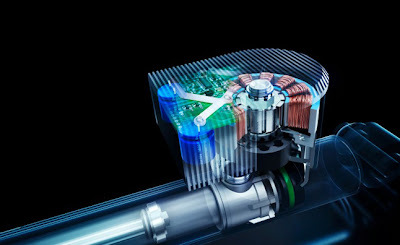 This technology is being developed by ZF and Levant Power, in hopes of producing a suspension system that combines “the vast gains of active suspension with modest power consumption, minimal complexity and affordable cost,” the companies announced in a release. Essentially, the alliance hopes to build the world’s first fully active and regenerative suspension for automobiles, and make it affordable enough for volume production. Forming the basis of the technology is an innovative, functional unit that is fitted to the outside of a ZF damper. In the compact unit is its own control unit, an electric motor and an electrohydraulic gear pump. That gear pump is in charge of regulating the oil flow to the damper, allowing it to adapt optimally and automatically to the driving conditions. In addition, the system is even capable of actively raising each individual wheel on the vehicle. The innovative valve system automatically uses the swaying motion of the damper piston in order to recover energy. The system then guides the oil in the damper, driving the electric pump motor, essentially allowing it to function like a generator. The generated kinetic energy is then turned into electricity which is fed into the vehicle’s power supply. “We look forward to working closely together with Levant Power. The objective is to develop the world’s first fully active and regenerative suspension, make it ready for volume production and introduce it to the market. Thus, we are promoting efficient innovations that are tailored to meet global requirements,” said Rolf Heinz Rüger, in charge of the Suspension Technology business unit of ZF’s Car Chassis Technology division.